For smart phones, both distinctly different usages of “localization” fit the definition shown above. That is why I use the modifiers “language” localization and “geographical” localization. Geographical localization is when a smart phone knows where it is on the globe via; GPS data, cell tower identifiers and a cell tower location database, or wi-fi station names and a wi-fi station location database. The phone can display location specific data to the user (nearby restaurants, hotels, etc). The standard way to obtain the location of an iOS device is to use the “Core Location” framework. Language localization is when a smart phone app is available in multiple languages (English, French, German, Spanish, Japanese, Korean, etc.). 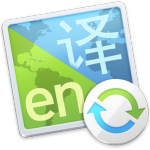 The same app binary is downloaded by all global users and contains all the language translations. The app displays text according to the users’ language priority preferences. Software developers discussing “localization” frequently are referring to cultural adaptations, and most commonly, language translations. Basic adaptation concerns the display of; numbers, dates, times, currency, symbols, icons, colors, etc. The OS handles these variations. The sophisticated adaptations involve; cultural references, objects, actions, or ideas that might be viewed as insensitive or confusing in a specific culture. And, of course, don’t forget legal restrictions for specific locations. These are things your translator should mention if your app sales will suffer because of them. In between these two is the most common usage of localization, language translations, adding additional languages into your app (Russian, Chinese, Portuguese, Malay, etc.). El Loco sits between the developer and their chosen translators so that each can be as effective as possible. We automate everything except for the human translator. From the developer’s viewpoint, we make localization fun.